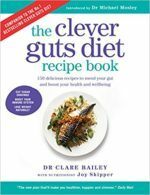 You are here: Home » Forums » Newbies » Clever Guts recipie book – are the cals per serve or for the whole dish? I bought the Clever Guts recipe book and with each recipe it shows how many calories is in it. It does not say it that’s per serve or for the whole dish? Can anyone clarify?